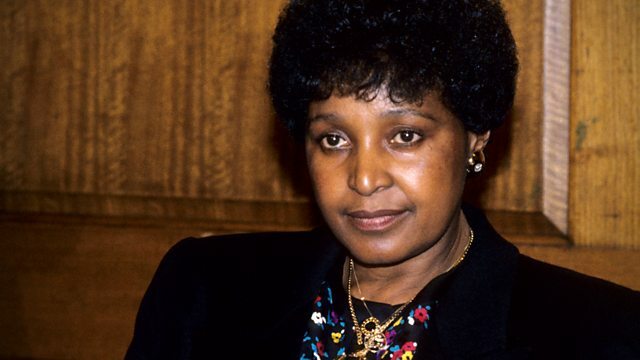 Documentary which looks at the controversial life of Winnie Mandela, asking whether she was the mother of the nation or a wilful egotist who simply got out of control. Documentary about the late Winnie Mandela. Was she mother of the nation or an out-of-control egotist? Whilst her husband will forever be associated with taking South Africa to democracy, it is Winnie's life that most accurately mirrors the story of the struggle. The apartheid regime targeted her with harassment, torture and banishment, but Winnie responded with bravery and defiance bordering on recklessness. Illustrated with rich BBC archive drawn from the last seven decades and interviews with leading British and South African journalists, the film charts the role that Winnie played in the struggle and shows why she continues to divide opinion.